If you’re often told you’re overly-sensitive, crazy-emotional or otherwise criticized for feeling life deeply, you might be an HSP. It’s genetic. And, it’s an amazing way to be! Deeply affected by the emotions of other people. Strongly bonded to animals and to nature. Lots of allergies or sensitivities, including auto-immune digestive disorders and gluten sensitivity. Majorly in tune with your environment. HERE you’ll find the traits in even more detail, but I think you get the picture. If the perception you have of yourself- or you’ve been told about yourself- is that you are in some way broken, I want to remind you today that not only are you perfectly whole, you’re likely far more gifted than the people around you. Sensitivity allows us to tap into a day and see the potential in ordinary things that people might overlook. It helps us to make art, to empathize, to deeply connect to others… It helps us to love, to care and to be driven by mission. If you don’t know how to regulate that sensitivity, though, it can be overwhelming. To make the most of your gift of sensitivity, spend more time solo in exploration of what interests you. Delve deep into the sensory goodies that recharge your energy. You can find so many of them on the blog, and you’ll know instantly what’s right for you to try- from detox baths to smoothies, flower essences to art-making! Do a lot of visualization that includes surrounding yourself in dynamic light in your imagination. Pour thoughts into a journal where you can come to work out your deeper thoughts without interference. 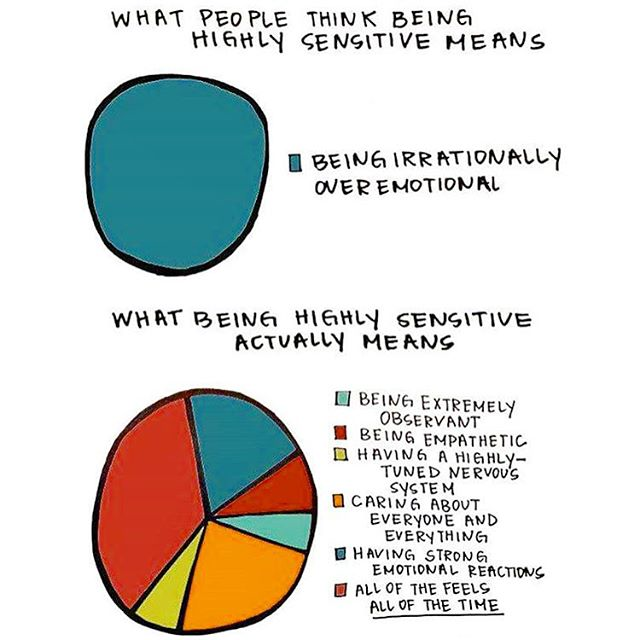 And…next time someone tells you that you’re too sensitive, thank them and remind yourself of what a gift that sensitivity actually is! Previous post: This Exercise Can Help You Build Your Intuitive Genius! Next post: The 8 Best Of Balanced Beauty This Year To Create Glamour Without Toxins!